DDeveloping a native mobile app in all platforms is the biggest challenge you are going to face when you decide to build a Mobile App for your business. This will cost you a huge investment. 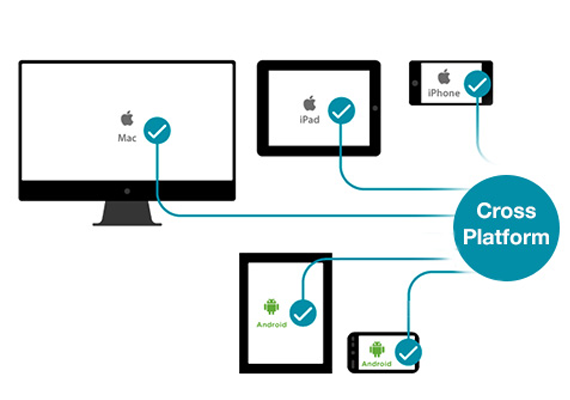 With Cross-Platform Mobile App development technologies, you can solve this issue easily. Moreover, these technologies are web-based, enabling you an easy back-end integrity with your web-applications through APIs. At Qzion, we have a dedicated team, to build cross-platform mobile applications. We use latest technology to develop mobile apps, which facilitates us to develop Apps at the most economic rates. Request a free Quote for your Cross Platform Mobile App! !